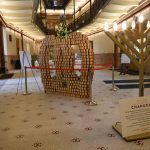 Food-themed structures made from canned goods filled the City Hall Rotunda in a charity event. 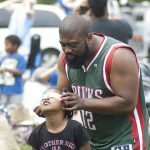 Milwaukeeans’ eyes turned skyward — with proper protection, of course — to see a rare solar eclipse. 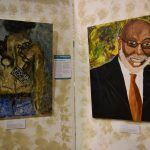 A group exhibition of paintings and photographs by African-American artists depicts historic Milwaukee figures on wood from the city’s ash trees. Winners of the Milwaukee Awards for Neighborhood Development Innovation (MANDIs), awarded to organizations working to improve impoverished neighborhoods, were announced at a sold-out dinner. The Milwaukee Awards for Neighborhood Development Innovation (MANDI) will be presented at an event beginning at 5 p.m. Wednesday, March 28 at the Pfister Hotel, 424 E. Wisconsin Ave. The MANDI awards are sponsored by LISC Milwaukee. 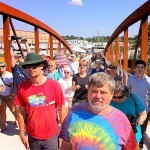 For more information, email Dawn Hutchison-Weiss, LISC Milwaukee communications director, or call her at (414) 273-1815 x25.